Russia’s car and light commercial vehicles (LCVs) sales in March posted 1.8 percent year-on-year growth to 0.16 million vehicles, after sales stalled for the first time in two years in February, according to a press release from the Association of European Businesses (AEB). The sales recovered after an alarming contraction of 3.6 percent year-on-year in February, which promoted fears that the slow recovery in the car market might be running out of gas due to stagnant real income growth, and bringing back memories of the car market plunge in 2015-2016. “The small plus in March sales, following a similarly small minus in February suggests the market is still looking for a firm direction this year,” the head of AEB Joerg Schreiber commented. After nearly five years of contraction, sales of new cars rose for the second year in a row in 2018. In 2017, the new car market grew by 12 percent, and in 2018, by 13 percent to 1.8 million vehicles. 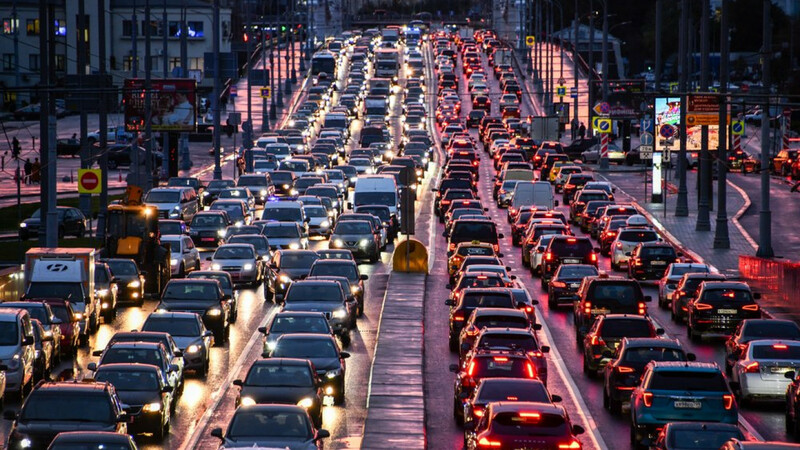 Previously, sales of passenger cars and light commercial vehicles in Russia in 2019 were forecast to grow by 3.6 percent to 1.87 million units, according to AEB. 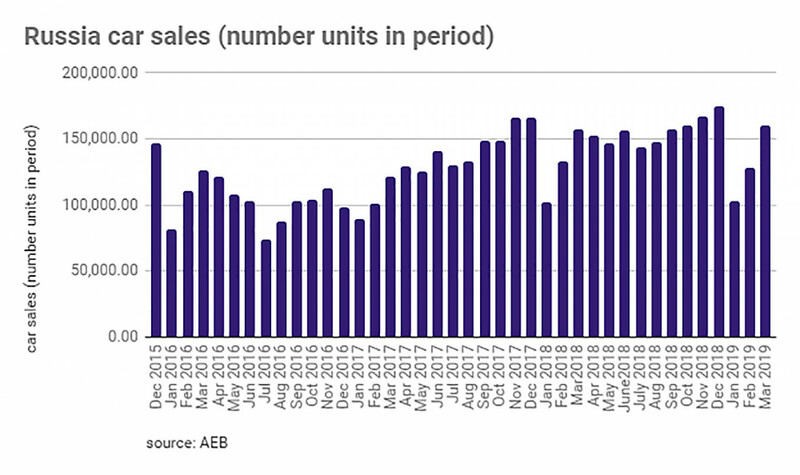 Cumulative sales in the first quarter are almost at the previous year’s levels, achieved through a much bigger effort by market participants as consumer demand is still lagging behind the momentum we saw one year ago, the AEB writes. Another factor helping the market out in March was government subsidies for lower-priced vehicles. Russia’s largest carmaker AvtoVaz, in the meantime, stayed resilient and continued to beat the market by growing 10 percent year-0n-year in March and 4 percent to 0.082 million units in the first quarter. However, Ford Sollers, a joint venture between the Ford car major and car assembler Sollers, announced it will stop the production of Ford-branded cars in Russia and downsize its staff, the company said on March 27. Ford also said it will stop importing its vehicles to Russia, without explaining the motives for the pull back.